Commercial paving of apartments, medical parks, office parks, industrial parks, schools, universities, and HOA communities all need at some point parking lot repair, resurfacing or restoration. Working with an experienced asphalt paver is the best action you can take to help the project move forward on schedule and budget. Inexperienced pavers quite often make errors in underestimating the materials needed or not having enough employees for the project. All of these errors in judgment will bring havoc to the jobsite- nothing will be on schedule and cost overruns will be common. Seattle WA Paving employees are full time and permanent, receive ongoing training, offered paths to advancement and provided with valuable benefits. All of our Paving equipment is owned by the company (nothing is rented) and maintenance is done at regular intervals. Our fleet of industrial specialized paving machines and trucks are some of the most technological advanced machines available today. These specialized paving machines increase our speed and accuracy- helping us produce some of the most attractive, longed lived, and robust parking lots built today. When a parking lot is full of puddles, potholes, and wide cracks, it creates an unwelcome and perhaps unsafe experience for clients and other users. And, when an insurance company reviews your damaged parking lot they may not want to offer you coverage. You need comprehensive parking lot insurance that focuses on liability coverage to keep your business solvent when faced with lawsuits causes by accidents, trips and falls. Keep your liabilities low for your parking lot- maintain it. Concrete components of parking lots, such as curbs, drainage gutters, sidewalks, parking lot islands, parking barriers, dumpster pads, and concrete bollards (they block vehicle impacts) are also installed by Seattle WA Paving. Unlike other asphalt paving contractors, we handle the complete build of your parking lot from grading the lot to applying the pavement markings- no need to coordinate with other contractors. ​Our reputation is under scrutiny each time we build or repair a parking lot so it’s important that our clients are given every consideration along with excellent workmanship. Keeping clients informed displays our respect, generates goodwill and takes little effort on our part. People just want to get in and out of a parking lot speedily and safely. Whereas, parking lot owners want all regulations required by their local to be met while at the same time retaining the maximum parking capacity. Seattle WA Paving has been building asphalt parking lots for years that meet the needs of both business owner and public user. Our intention is to build parking lots that are affordable, of excellent workmanship, long lasting, and easy to maintain. We have crew leaders checking work often to make sure of proper grading, subbase is solid and correct depth, asphalt mix looks to be the right consistency and at the proper temperature and correct compaction with smooth finish. Word of mouth helps drive our successes so we work hard to make our clients happy. When designing a parking lot care must be taken to drain water runoff to a drainage field or sewer. 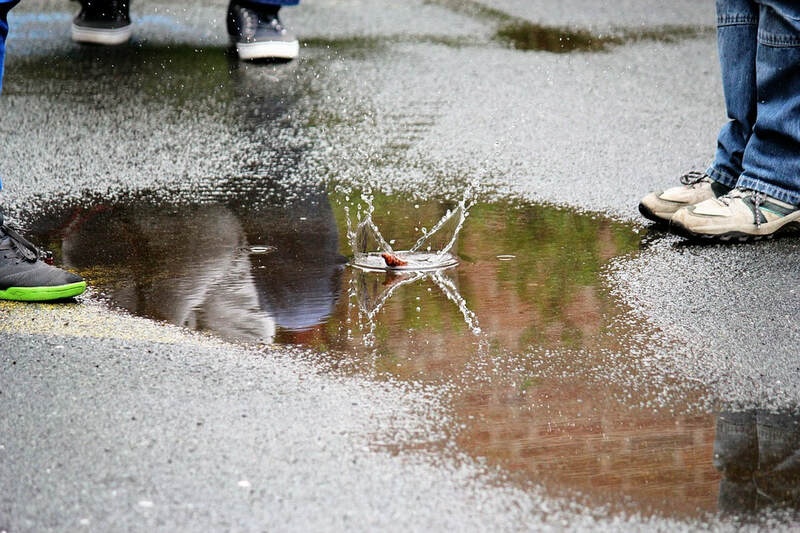 Edmonds autumns and winters are considerably rainy, on average, it rains 150 days per year so storm drainage is a very important consideration and we treat it with the utmost care. Water that infiltrates under the parking lot causing damage to the soil subbase will cause the pavement above to breakup and eventually become a pothole. Parking lot design maneuverability is also important because people want to park easily, quickly and in relative safety. Remember those times you had to back up your car in a parking lot because the lane ended abruptly ended, and how many times did you revisit that same lot? I tend not to return to ill planned parking lots. Seattle WA Paving wants to work with your designers or you and build the type of parking lot that will be most beneficial to users and property owners. 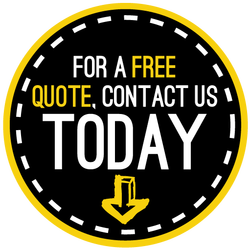 We want to build our clients an easy to maneuver parking lot that will function without problems for decades at the lowest possible price. Pavement cracks in the surface of the parking lot will eventually infiltrate the subbase. Water continues to wear away at the crack till it becomes a fissure, then damages stability of the subbase and finally becomes a pothole. If the parking lot doesn't have too many cracks, we can repair each one. But, if you have several, consider our commercial asphalt sealcoat service it will cover fine cracks and restore a protective layer against erosion. However, if the pavement is brittle with major alligator cracking the sealcoat will not be helpful. ​We have many solutions to repair what ails parking lots it only depends on the cause and depth of damage. There are many types of cracking alligator, block, reflection and others. An experienced asphalt paver will be able to investigate the problem lot and develop a report detailing probable causes and promote the most affordable, long lasting and low maintenance repair. They will also at a glance be able to tell you if repairs are warranted or if you’d be throwing money away on repairs that won’t last. Parking lots can deteriorate to the point that the only way forward is a restoration. Call Seattle WA, Paving and ask for a complementary parking lot inspection. No commitment is expected on your part- you've nothing to lose. We can improve the function and life cycle of your parking lot by repairing faults before they lead to even greater problems and save you restoration costs. 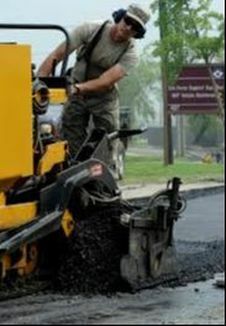 Resurfacing will patch the broken or alligator sections, mill off or shave off the top 1.5 to 2 inches of the old asphalt parking lot, repave with a new overlay of 1.5 to 2 inches of hot asphalt that is well compacted. Repairs are better looking and longer lasting if surface preparation has been properly preformed. Shaving a process that uses a series of diamond tipped saw blades mounted on a rolling shaft that shave the upper surface of a asphalt pavement to remove bumps, restore pavement noise level, and improve surface friction. The properly resurfaced asphalt pavement will look new again, and have a lifespan of 8 to 15 years depending upon climate and maintenance. New pavement marking will be applied after the pavement has cooled enough so as not to develop ruts while using stripping machines. Resurfacing is a great transforming option for business owners trying to upgrade their image or brand. Periodic sealcoating protects the pavement from the ravages of sun, wind, and rain which ages the pavement to a light grey color. Sealcoating parking lots will reduce the rate of erosion down to a crawl which will double the lifespan of the lot. Warning! Once asphalt pavement has oxidized (lost its flexibility) it can’t be totally restored by sealcoatings. There are many types of sealants available to protect asphalt parking lots and some are designed to work better under certain conditions. When a Seattle WA Paving Inspector evaluates a parking lot, they will know which asphalt sealcoat to suggest. Many times, novice pavers will apply the sealcoat too thick causing cracking and pooling of the sealcoat which causes slippage between the pavement and sealcoat. We will suggest the best product, there are several to choose from, for your particular application, and will apply it correctly- our reputation depends on it. ​Seattle WA Paving offers more than most asphalt paving contractors- we build all of the concrete elements of the parking lot.Concrete curbs also improve the strength of the edging around the parking lot boarders, and repulse cars from traveling over them. We fashion parking lot concrete forms, such as curbs, wheel stops, sidewalks, speed bumps, drainage system and concrete pads that are placed at loading docks and under dumpsters. The bright white surface of concrete curbs marks a sharp visual impact against the black asphalt which helps drivers at night determine where the pavement ends- improving safety for all users. Concrete pads placed under loading docks and waste pickup strengthens those areas where heavier loads are regularly expected- stress fractures are less likely. Seattle WA Paving ability to build concrete structures gives an advantage over our competitors- better pricing (one company instead of two) as well as less hassle scheduling. Plus, we're less likely to cause slowdowns for other contractors because we understand all components of a parking lot build.